PS Coming home from Virginia this spring, Hannah and I plan to return to LBI and spend another night at the Beach Haven Motel. then south on the expansive beach of white sand on the Atlantic Ocean. We had no idea this would be ground zero for Hurricane Sandy’s fury in the coming days. 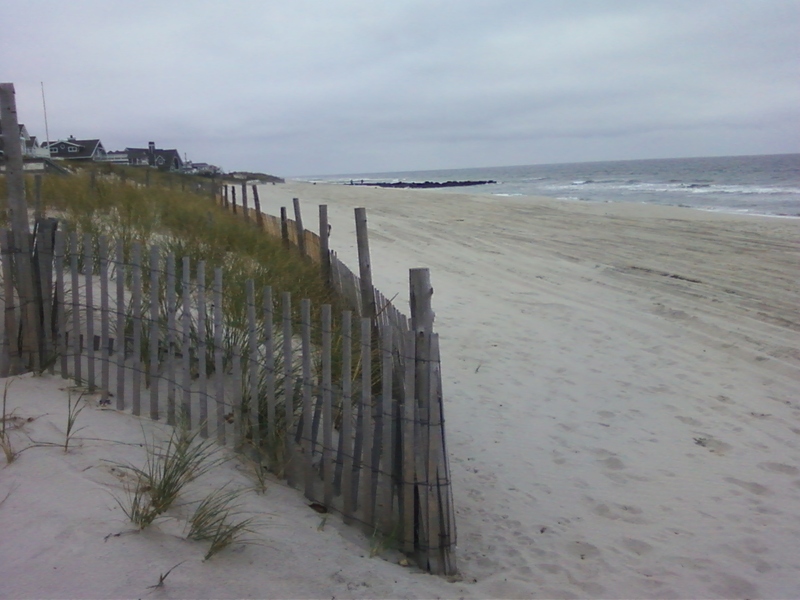 You see, as a child, I went here with my family to Beach Haven on the Jersey shore each summer. A couple hours down the Garden State Parkway from our home in Fair Lawn, NJ, Long Beach Island was where we walked the docks seeing the yachts and pleasure boats that were alien to our life in the suburbs. 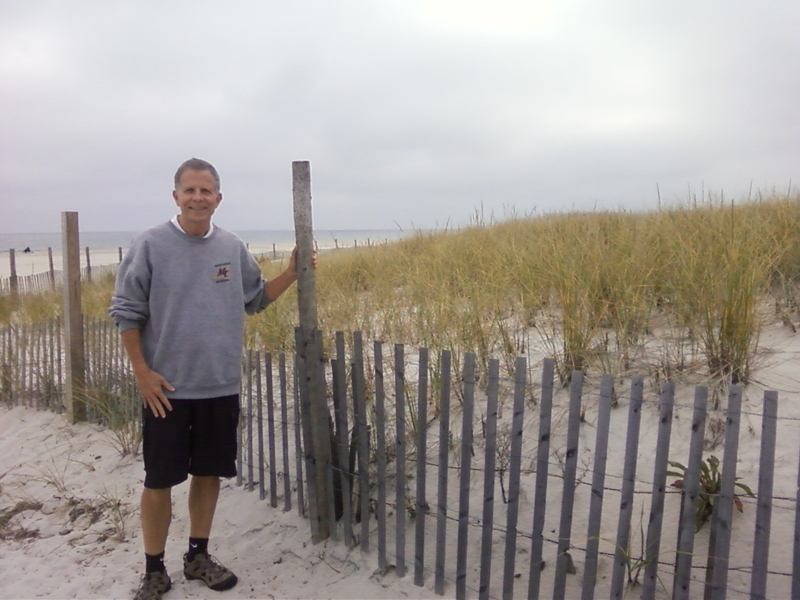 So when heading for home in Maine after visiting our daughter Molly’s family in Virginia, we decide to break up the 500+ mile trip home and head to Long Beach Island for the overnight. Escaping north from Washington early on a late October Wednesday morning, we watch a ten mile backup on the opposite side in Maryland as we thankfully sail north out of harm’s way. Off season driving on the I-95 corridor is often easy and in three hours we cross through Delaware and are heading East through the Pine Barrens of southern Jersey. 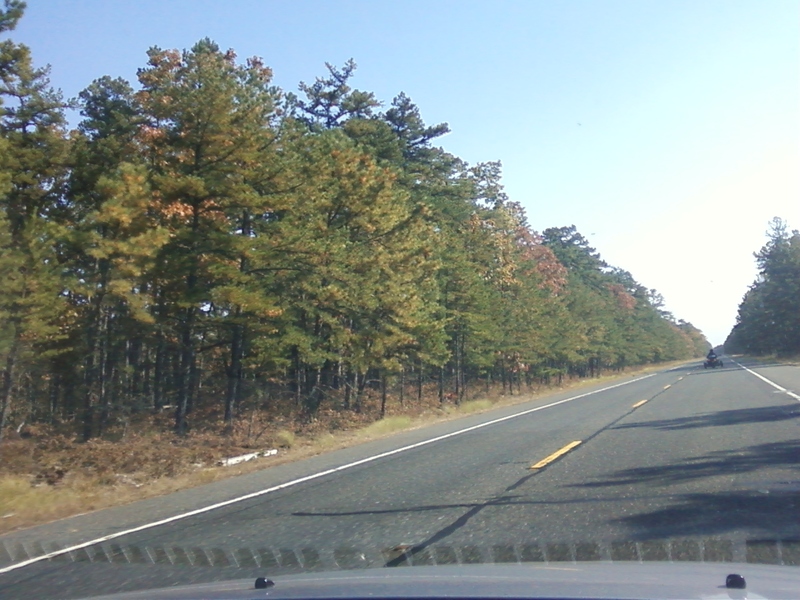 Truth be told, the Pine Barrens have quite a few oaks. Jersey highway 72 is a straight shot to the coast and few cars travel with us this autumn morning, long after the tourist season. Parallel to the highway are sandy trails, meant for four wheelers, not bikes or for walking since the sandy terrain would be too “mushy” for enjoyable riding or walking. Crossing the one bridge onto Long Beach Island, we are looking for Surf City. (Surf City . The Jan and Dean classic about two girls for every boy. Does it get much better than that for a teenage boy!) We turn north on Long Beach Boulevard looking for a motel. What we find are vacation homes upon vacation homes packed together on this barrier island within yards of the Atlantic Ocean. Heading north to Barnegat Lighthouse, we rarely see a motel or restaurant as we sail through Surf City, Loveladies, and Harvey Cedars. Don’t you love a town called Loveladies? In late October there are very few people in an area; it is easy to imagine the congestion that we wouldn’t want to be within 100 miles of in the summer. The island reminds me of coastal Florida: very flat, wall-to-wall vacation homes, wide main boulevards with easy side street access to the beach, and sand everywhere. No more than 100 or 200 yards wide, this barrier island stretches nearly 20 miles from Barnegat Lighthouse south to Beach Haven. 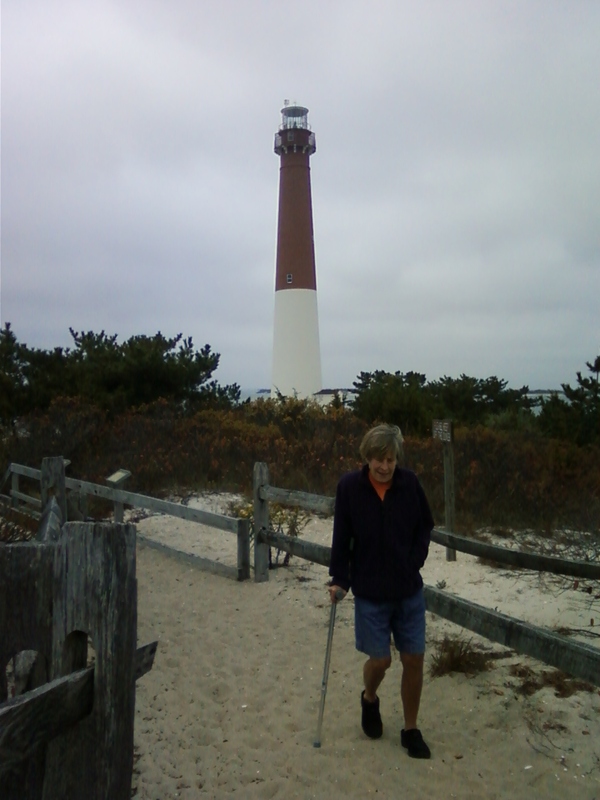 At Barnegat Lighthouse State Park, we see fishermen on the jetties and look out to the next barrier island north where the residents have no idea that their Seaside Heights will be in ruin within the week. 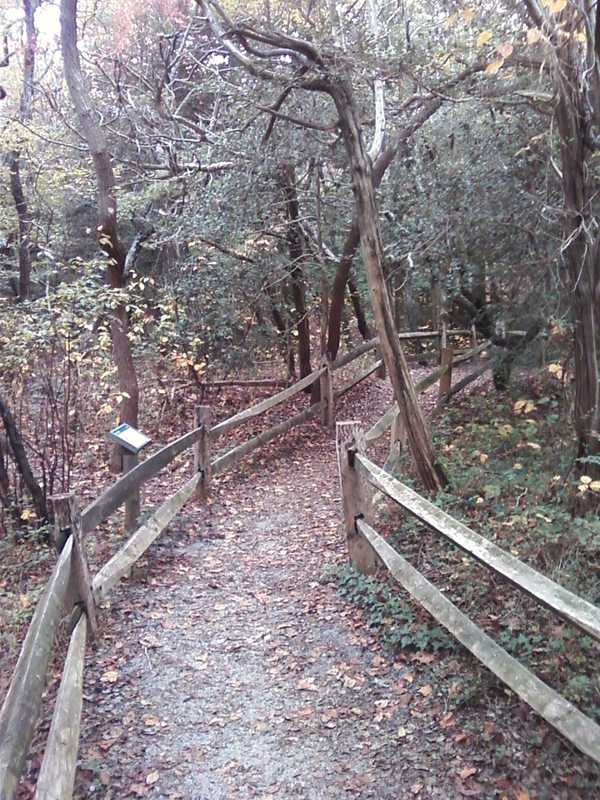 The park has a ten minute trail through the pines that Hannah negotiates with her one crutch as she rehabs after fracturing her tibia while water skiing. At this time of year, this would be ideal biking weather for us to ride along the wide shoulder roads with very little traffic. The beaches are extraordinary and made for miles of evening walks, lovers hand in hand. Alas we’ll return when Hannah is fully ambulatory. Still looking for a motel, we punch “motels” into our GPS; many that are listed are closed today, two weeks after Columbus Day. We pass empty houses on an island with 10,000 full time residents, 150,000 in the summer. Most of the 10,000 must be hiding today. Okay, it’s 3P and they might be working. We see a sign for low rates at the Seashore Motel. $60 sounds pretty sweet. I step out of our Hyundai and proceed to the office door. Asking if there is a room, I am met by a mid-40s woman who tilts her head and acts surprised that I want to see a room. A min-red flag. She says there’s a first floor room to our right which is open; we find the room with two double beds, fridge, microwave, and modern TV. Looks fine, but something doesn’t feel right. Since it’s the first place we look at, we decide to look at two more motels and see how they compare. Back into the car, I know what’s wrong instantly. The woman never smiled. Big red flag. Someone in the service industry who doesn’t smile at customers is not a good sign. It’s off season and rooms are hard to rent. What other unfriendliness and inattention will we encounter if we stay? 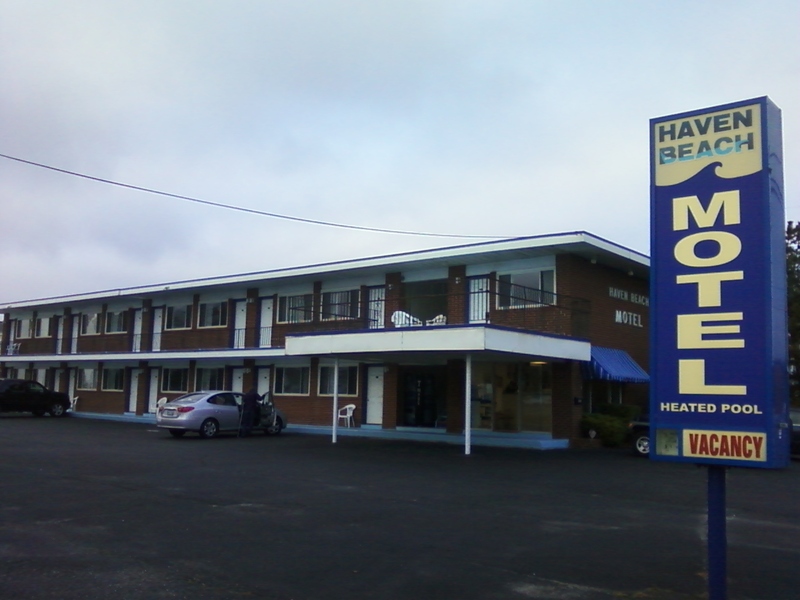 Further south on Long Beach Avenue, we pull into the Haven Beach Motel. Immediately engaging Gaelic Dennis Flynn who says he’s got a room for $45. When I ask if we can have a room away from the road, he hands us a key for the room farthest from the road on the second floor. Smiles all around. How hard is that? The room is delightfully open with two full beds, Wi-Fi, flat screen TV, fridge, sitting table and microwave. Our search for a room is over and we will spend the night here in a room that goes for $170+ in- season. Tonight only three of the 18 rooms will be rented. With no Subway in the area, we opt for dinner from the Acme Market five tenths of a mile away. It turns out we are 40% of the five people in the grocery store’s ten aisles. Leafy romaine lettuce mixed with potato salad for me, cottage cheese for Hannah will be tonight’s repast. First though, we toast the night with a fine merlot from the second floor deck outside our room. 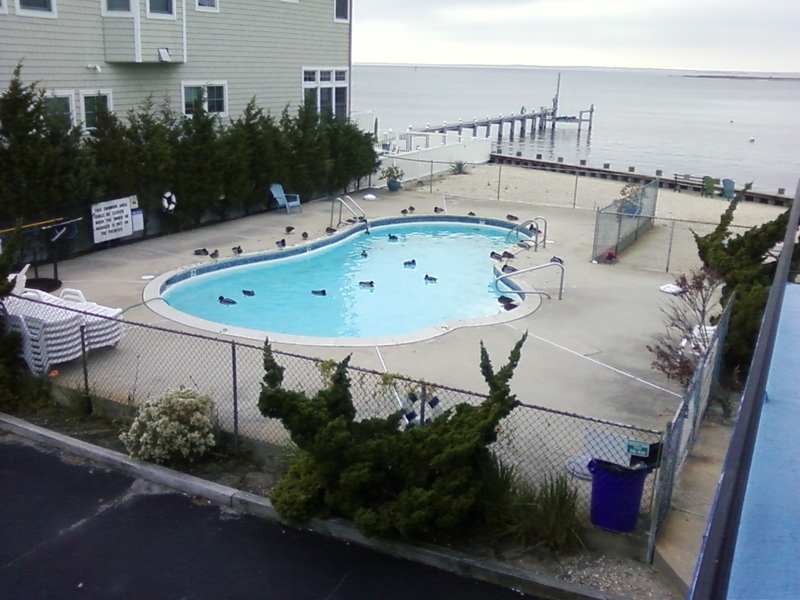 Beneath us our 30 some mallards lounging in the motel swimming pool. Dennis Flynn says some motel owners put monofilament fishing line across the pool to keep the ducks out, but he doesn’t because they get tangled in it. He just cleans up any mess in the spring. 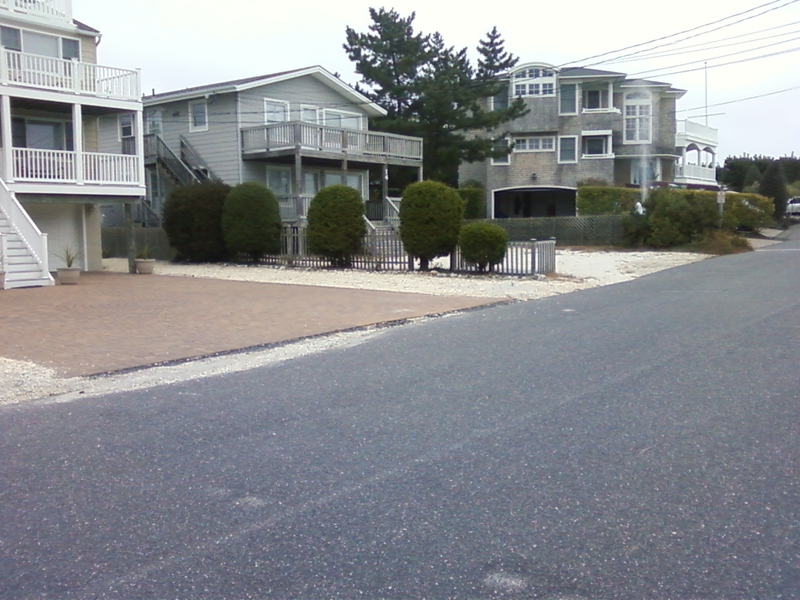 We are a mere 150 yards from the beach down a side street with vacation homes from the petite to the McMansion-esque. 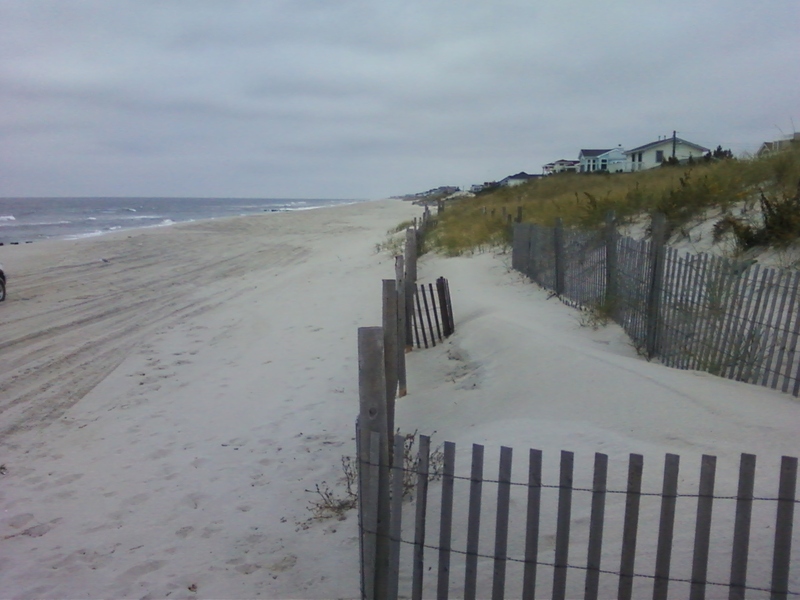 The dunes “protect” them from the ocean waves not 80 feet away. Many yards are covered with white stones where the vacationers park their cars. We notice that you can park on these side streets for free, but it’s hard to imagine there is much room in-season. 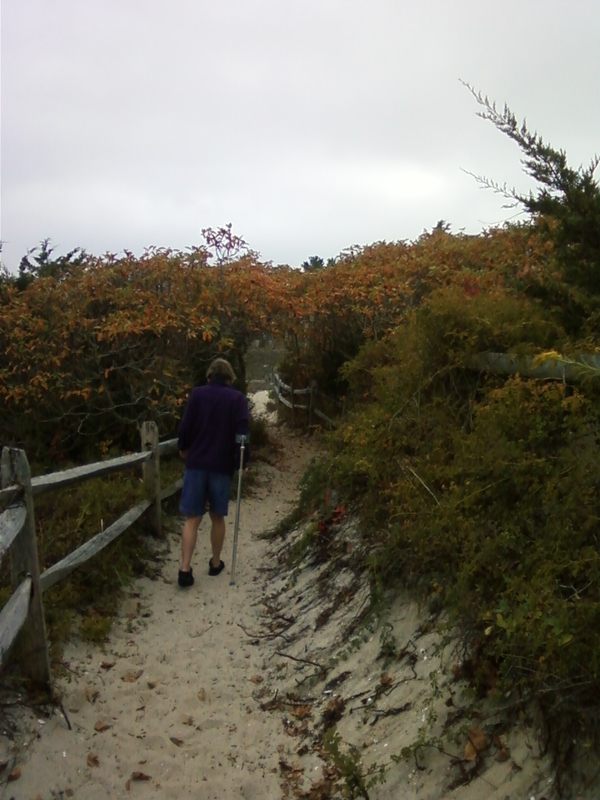 The next morning, we walk to the beach, Hannah’s crutch sinking into the sand. With 400 miles to drive home to Maine through the maw and gut of New Jersey on its Turnpike and later to cross the George Washington Bridge, we head for home. 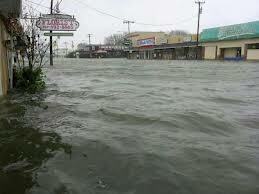 Little did we know that Long Beach Island would be the bulls-eye for Hurricane Sandy. A call I made to the Haven Beach Motel five days later found the line dead. It’s eerie thinking just five days later this island was literally swamped. (CBS News focused on Long Beach Island [5m 30s]). Online I find this review from the Newark Star Ledger. From the article is this quote The nearby Acme supermarket appeared to be intact, but piles of debris littered the parking lot. Two hours away in northern Jersey my mom lost power for four days at her senior independent living complex. A teacher friend in Long Island missed seven days of school. A colleague in Connecticut was without power for six days. Will this be the wake-up call that spurs us to action? 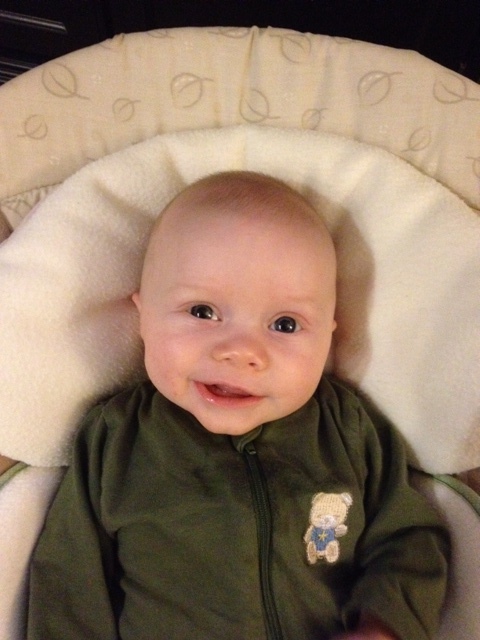 Our grandson Owen and his fellow three month olds are counting on us.